The Fintroz fund database is the most modern in the industry. 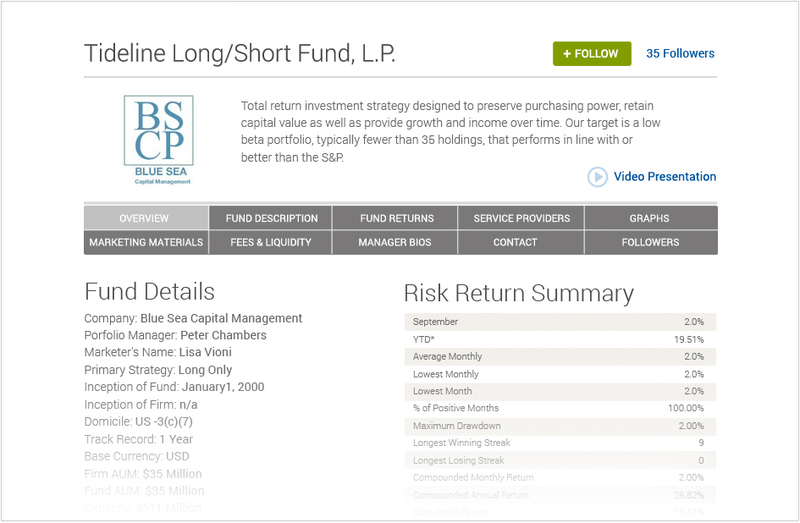 In addition to posting comprehensive details on your fund(s), Managers can post status updates to investors following their fund, post video and join the exclusive Capital Club to connect with allocators. Specific investment opportunities can also be posted and sourced in the Deal Room.